Safer Penzance has been made aware of a number of concerns regarding a small group of individuals and incidents of anti-social behaviour escalating from an empty shop doorway in the town centre. Penzance BID, Cornwall Council and partners have been exploring all options to effectively tackle the situation. The Police continued to visit the area on a regular basis and issued a section 35 order on one individual who was dispersed from the town on Friday. This morning Cornwall Council in partnership with Cormac and Devon & Cornwall Police, have temporarily secured the area outside of the shop front by fencing off a small sheltered space to prevent further incidents of anti-social behaviour. Cornwall Councillor Tim Dwelly stated “I spoke to the managers of the site today, Lee Baron Group. As a result, they are planning to fully secure the covered portico space in front of the former Dorothy Perkins, with secure access including a locked door. The Council’s temporary fencing will therefore help protect the site until this work is finished, which should be very soon. St Petroc’s, Addaction and partners will continue to work with the individuals affected, with extensive work taking place to support and offer suitable accommodation options, safeguard individuals and take appropriate action to reduce any further concerns. Members of the public are encouraged to continue reporting incidents of ASB as they occur as it gives the police the opportunity to respond and deal with the incidents as they occur. In addition these reports are used as evidence to support action and prosecution against those causing ASB problems in the Town. 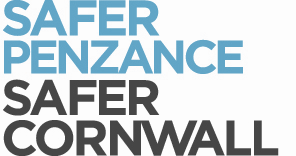 Safer Penzance continues to encourage people to report all incidents and concerns. Call 101 to contact the Police (non-emergency) or 999 if you have serious immediate concerns. Please report via StreetLink (leaflet attached). StreetLink is a 24/7 website, mobile app and phone line, which allows you to send an alert about the location of someone sleeping rough.